Monitoring pore water pressures to determine safe rates of fill or excavation. Monitoring pore water pressures to determine slope stability. Monitoring the effects of dewatering systems used for excavations. Monitoring the effects of ground improvement systems such as vertical drains and sand drains. Monitoring pore pressures to check the performance of earth fill dams and embankments. Monitoring pore pressures to check containment systems at land fills and tailings dams. The VW piezometer converts water pressure to a frequency signal via a diaphragm, a tensioned steel wire, and an electromagnetic coil. The piezometer is designed so that a change in pressure on the diaphragm causes a change in tension of the wire. When excited by the electromagnetic coil, the wire vibrates at its natural frequency. The vibration of the wire in the proximity of the coil generates a frequency signal that is transmitted to the readout device. The readout device processes the signal, applies calibration factors, and displays a reading in the required engineering unit. 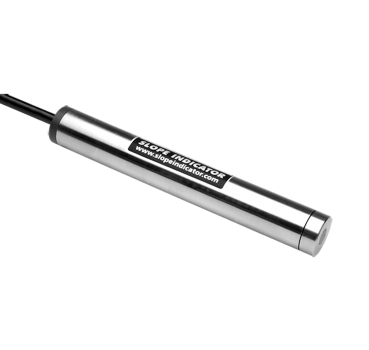 The standard borehole piezometer is suitable for most applications. It can be directly grouted-in using a bentonite-cement grout. This greatly simplifies installation of multiple piezometers in the borehole and also allows the piezometer to be installed with inclinometer casing. The multi-level piezometer is a variant of the standard borehole piezometer. It has a special housing for easier installation of multiple sensors in a borehole. This piezometer is a variant of the standard borehole piezometer. It features a thick-walled stainless steel body and is supplied with double-jacket armored cable. 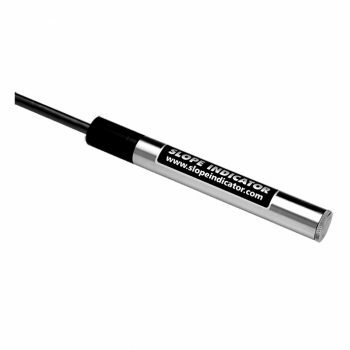 The push-in piezometer is a variant of the standard borehole piezometer. It has a special housing that allows it to be pushed a short distance into soft, cohesive soils. 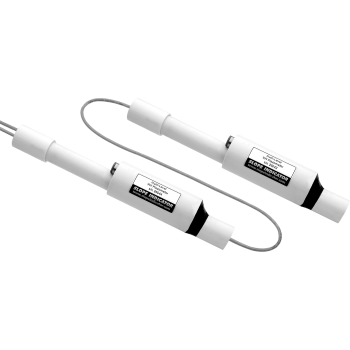 The low pressure piezometer is specially designed to monitor small changes in pore-water pressure. It can also be used, in conjuction with a barometer, to monitor water levels in open wells and wiers. The vented pressure transducer is specially designed to monitor water levels in open wells and wiers. High Resolution: VW piezometers provide a resolution of 0.025% of full scale. 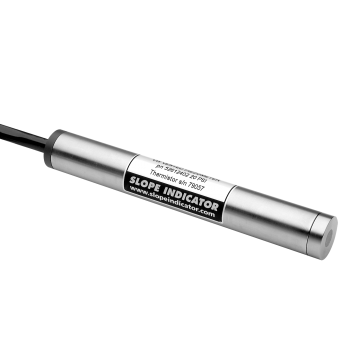 High Accuracy: Slope Indicator’s automated, precision calibration system ensures that all VW piezometers meet or exceed their accuracy specifications. 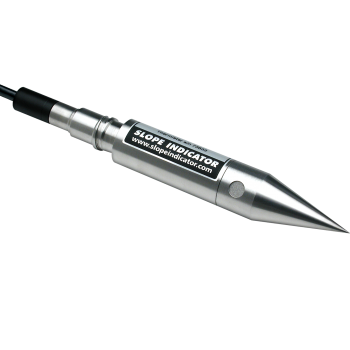 Groutable: The VW piezometer can be directly grouted-in with a bentonite-cement grout. More information about the direct grout-in method can be found in the VW piezometer manual and in a technical note. Rapid Response: VW piezometers offer rapid response to changes in pore water pressure, whether they are grouted in, pushed into cohesive soils, or embedded in a sand filter zone. Reliable Signal Transmission: With properly shielded cable, signals from the VW piezometer can be transmitted long distances. Temperature Measurement: All VW piezometers are equipped with a temperature sensor. Please download the datasheet and manual for the VW Piezometer. These documents can be viewed and printed with Adobe Acrobat Reader. For more information about fully-grouted piezometers, please visit our Papers and References page.